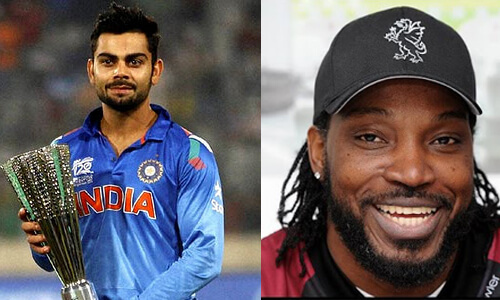 India v/s West Indies who will win today’s 2016 world cup t20 2nd Semifinal Match at Wankhede,Mumbai. MatchPreview:-Today T20 World Cup’s 2ndSemifinal will be rock showdown between world’s most two of the crowd pullers of international T20 cricket at the Wankhede Stadium, Mumbai. There will be a interesting fight between two main hitter batsman Virat Kohli and Chris Gayle. Because these two batsman of t20 cricket has been nightmare for bowlers both spinners and fast pacers. Darren Sammy ‘s West indies cricket team has reached three times in World cup t20 semifinals while India’s second chance in as many editions of t20 cricket. There will be a much-awaited cricketing clash in Mumbai today. Both teams are looking confident about their performance but there is a problem in both teams that they are not performing like they can. India’s openers Sikhar Dhawan and Rohit Sharma are not performing well. So in today’s match they have to play good cricket and should give solid start for India. According to us today’s t20 semifinal match will depend on spin bowlers. Spinners will perform well compare to fast bowlers and will take wickets. Because Mumbai’s Waankhede Stadium Pitch Supports spin bowlers respectively. Wankhede stadium’s back record says the second batting teams have more chances to win t20 match. So Toss will be a factor in Today’s match winning. West Indies teams have chased four t20 world cup matches. While India also wins all chasing match in Wankhede except against Bangladesh cricket team. From the side of India Virat kohli and Mahender Singh Dhoni will play major role in Today’s t20 match. And From the side of West Indies Chris Gayle will be main factor because West Indies’s leading run scorer Andre Fletcher is not playing due to injury. Other batsman like Andrew Russell, Dwayne Bravo and Darren Sammy is also not performing well. So there will be a main factor if India will win today’s match in t20 world cup 2016 at Wankhede Stadium Mumbai.